Pitt’s Board of Trustees plans to close the deal on a $7 million two-story building in Oakland in the coming weeks but isn’t yet sure what the space will be used for. The property and facilities committee of the Board can approve construction projects of more than $2 million and real estate purchases of more than $1 million. The Board first approved the purchase of the two story building, located at 3619-3621 Forbes Ave. was on Dec. 15. 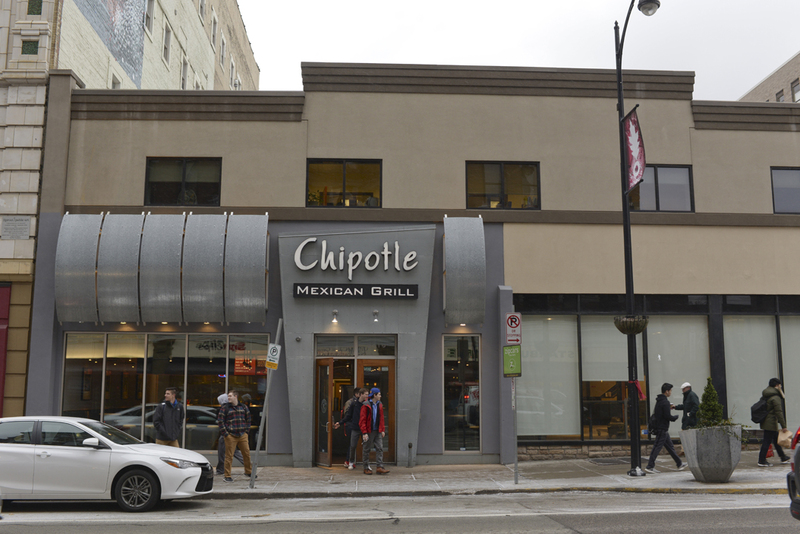 According to Gregory Scott, senior vice chancellor for business and operations, the 17,000-square-foot building, where Chipotle and an upcoming pizza parlor, Lotsa Mozza, are located, will cost $7.15 million. Currently, the building belongs to M&P Investment Co., a city nonresidential building operator. Pitt uses the second floor for the Office of the Chief Financial Officer. Scott said the University does not have any plans for the building and plans to leave everything as is for now. In addition to the purchase, the committee approved $9.85 million in renovation costs for the Barco Law Building and the 14th floor of the Cathedral of Learning. The committee will spend $4.25 million on renovating the Department of Communication and repairing infrastructure on neighboring floors surrounding the 14th floor of the Cathedral. These changes will set up the 14th floor and adjacent floors for the planned “restacking” of the Cathedral. “The restacking is a multi-year renovation of various floors that will modernize the Cathedral to better align academic and administrative departments that may be located in different areas of the Cathedral or throughout the campus,” Scott said in an email. Last year in June, the Board approved $11,702,700 in total for renovations to the Cost Sports Center, the Chevron Science Center, the Space Research Coordination Center and the 12th floor of the Cathedral of Learning. In addition, the committee will spend $5.6 million this semester to make mechanical system updates in the Barco Law Building, Scott said. The University will also add two restrooms on the first floor and renovate common areas. Once the changes are made, the civil practice law clinic will relocate from Sennott Square to Barco.